Behind the epic struggles of World War II, there were highly disciplined groups of fighting men and women whose achievements can only now be revealed. This series examines the relative strength of each of the world's most deadly units that gave its country's armed forces an extra edge when it came to deciding the outcome of World War II's most pivotal battles. The series also examines, in the light of newly released information and recently discovered rare archive film, some of the feats performed by individuals from these elite fighting forces. 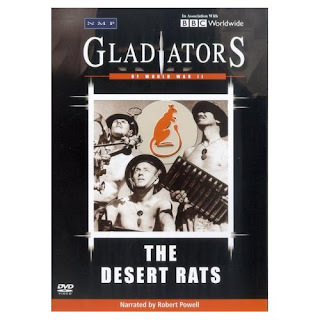 The legend of the Desert Rats began with the destruction of the Italian 10th Army in 1940. When Nazi General Erwin Rommel arrived in Libya with his Afrika Korps, the ebb and flow of desert warfare pitted the two great forces against each other. As part of the 8th Army under General Bernard Montgomery, the Desert Rats played a key role in the crucial battle at El Alamein which forced the Afrika Korps into retreat. On the 11th May 1943, the Axis forces in North Africa finally surrendered, and the desert war was over.